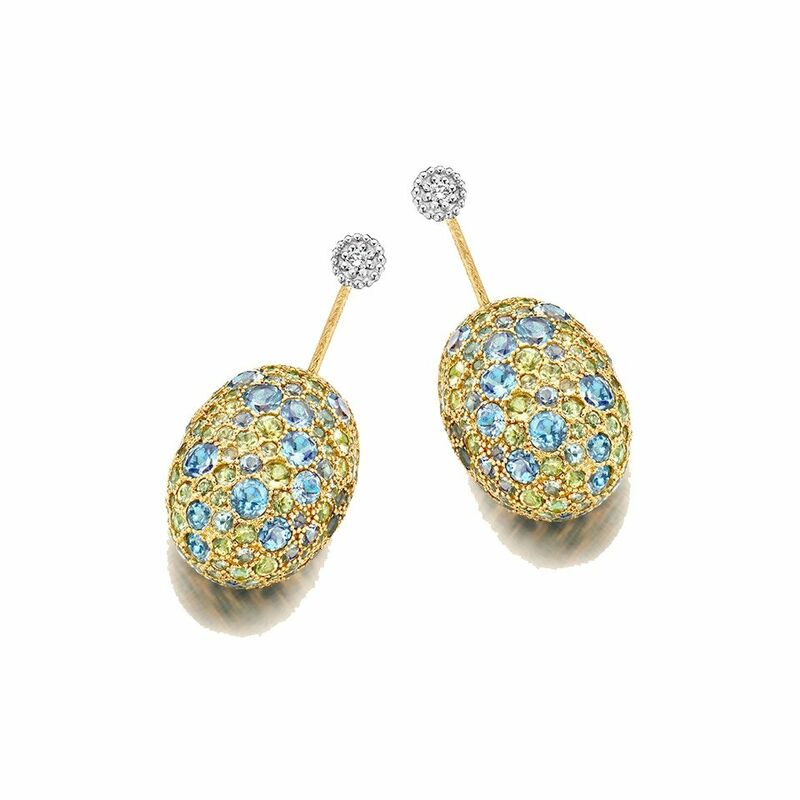 These elegant and unique Nanis Dancing in the Rain Reverse earrings in 18K yellow gold will mesmerize you and those around you. 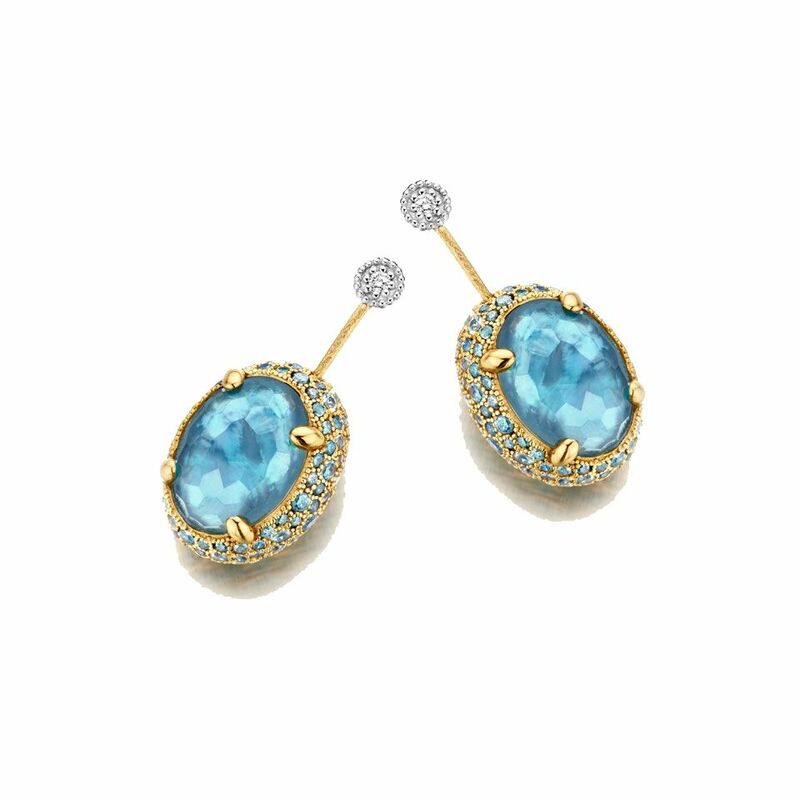 The earrings are set with diamonds with pavè of Blue Diamonds, Green Sapphires and Swiss Blue Topaz. The captivating part, it can be worn in two different ways. The earrings have a brushed finish, which is done by hand with a special hand engraver that is used by only a select few master craftsmen. Nanis, handcrafted in Italy, is known for their craftsmanship, design, passion and taste.